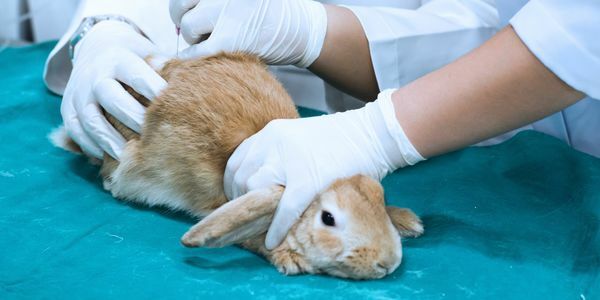 petitie: 46 States Still Allow Animal Testing for Cosmetics. Is One of Them Yours? 46 States Still Allow Animal Testing for Cosmetics. Is One of Them Yours? We all know the phrase "If looks could kill." The phrase is sometimes uttered when someone wants to compliment another person on their looks. The idea is that someone looks so good they could provoke a heart attack or some other death-causing malady. Of course, that isn't true. No one can kill another person with just their looks. But that doesn't mean that looks don't actually kill. Looks kill millions of animals a year. It might be hard to believe but companies still use animals to test their cosmetics prior to releasing them to the market. This after activists and scientists alike have tirelessly encouraged companies to use alternative non-animal testing methods. There are now more than 50 types of non-animal testing methods that have been validated for use. They are cheaper, more accurate and of course, they keep animals out of the laboratory. Some American states have also made headway in banning the practice. California, New York, New Jersey, and Virginia have banned animal testing for cosmetics. These states have sent a strong message to cosmetic manufacturers that animal testing is NOT ok. Unfortunately, animals can still be used for testing in 46 states with no repercussions. That is not OK. Each and every state in the country needs to follow California, New York, New Jersey, and Virginia and pass anti-animal-testing legislation. Looks shouldn't have to kill. Sign the petition, and if your state isn't named above, contact your state representative and ask them to take action against animal testing.